Disabilities do not define the future of our nation’s children. We are here to make sure everyone has the resources and skills to create an Individualized Education Program (IEP) that is ambitious and attainable. 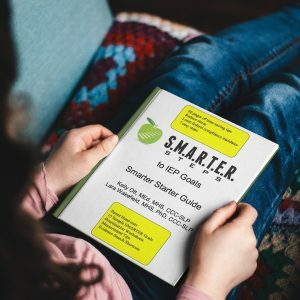 SMARTER Steps is here to offer IEP help for parents, teachers, advocates and administrators. No matter what type of disability a child struggles with, it is important to understand that IEP goals drive everything. Goals directly determine what special services are needed, offered, and funded. Poorly constructed goals can result in a lack of progress. Well-developed IEP goals must be specific to the child which are challenging, attainable, and measurable. When goals are properly developed, the benefits to all stakeholders are immeasurable. When goals are fragmented, everyone loses. 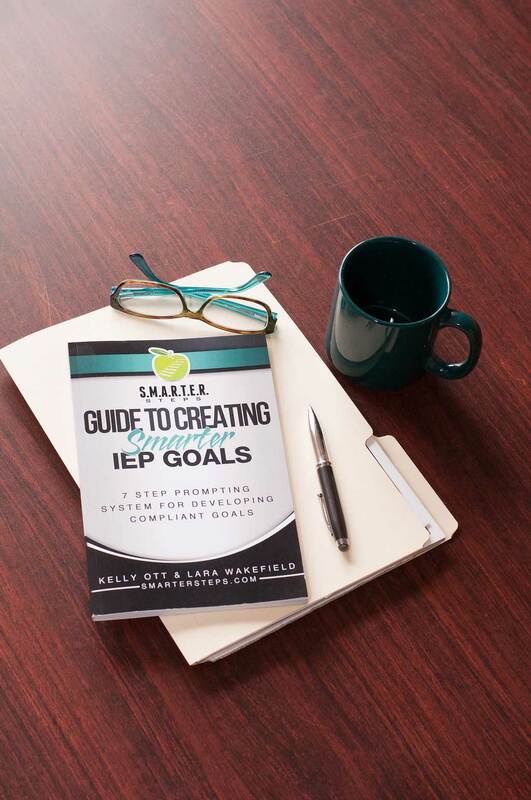 Constructing effective IEP goals can be daunting for all involved. Our proprietary process meets all federal regulations and is proven effective at driving progress for students. 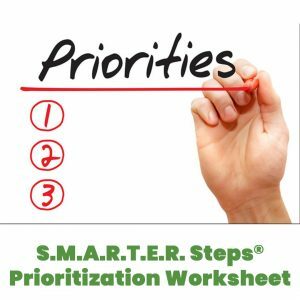 SMARTER Steps offers an abundance of resources to help parents, educators, administrators and advocates understand the significance of well-developed goals and guide them through the process in a simplified, 7-step process. Like all parents, you want your child to have every advantage. As the parent of a child with a disability, you probably feel frustrated that your child has additional obstacles to overcome. Please know that you are not alone, and you are not powerless. There are things you can do throughout the IEP process to ensure your child obtains the help needed to achieve success. Your love for children drives you to fight for the best possible outcomes for them. When it comes to advocating for your clients, everyone wants the same result, but finding a way to get there can be challenging. We have developed the tools to help you navigate success for the children and families you serve. You want each of your students to reach their full potential and do all you can to make it happen. You have a lot on your plate and writing IEP goals can be a laborious and time intensive process. You may not have been adequately trained on goal writing strategies and may feel like you need IEP help. Now, there is a process that helps you be more time efficient and enables you to guide students to better overall achievement. You expect a lot from your staff. Retaining teachers who continue to give their all is key to your school’s success and the success of your students. The special education laws can be confusing, and the resources for implementing appropriate goals, sparse. Not doing it well means poor student progress, disgruntled parents, teacher burnout, and possible legal complications. Our tools for creating effective IEP goals can result in improved progress for students and increased parent satisfaction. This in turn, will yield reduced anxiety for school staff and fewer instances of Due Process. Like all parents, you want your child to have every advantage. As the parent of a child with a disability, you probably feel frustrated that your child has additional obstacles to overcome. Please know that you are not alone, and you are not powerless. There are things you can do to ensure your child obtains the help needed to achieve success. You want each of your students to reach their full potential and do all you can to make it happen. You have a lot on your plate and writing IEP goals can be a laborious and time intensive process. You may not have been adequately trained on goal writing strategies. Now, there is a process that helps you be more time efficient and enables you to guide students to better overall achievement. The Individualized Education Program process is familiar to any educator in special education, but the details of the system may not have been fully explored. IEPs allow for disabled students to receive a quality education and individualized learning. It is imperative for educators to follow the mandates outlined for IEPs. The S.M.A.R.T.E.R. 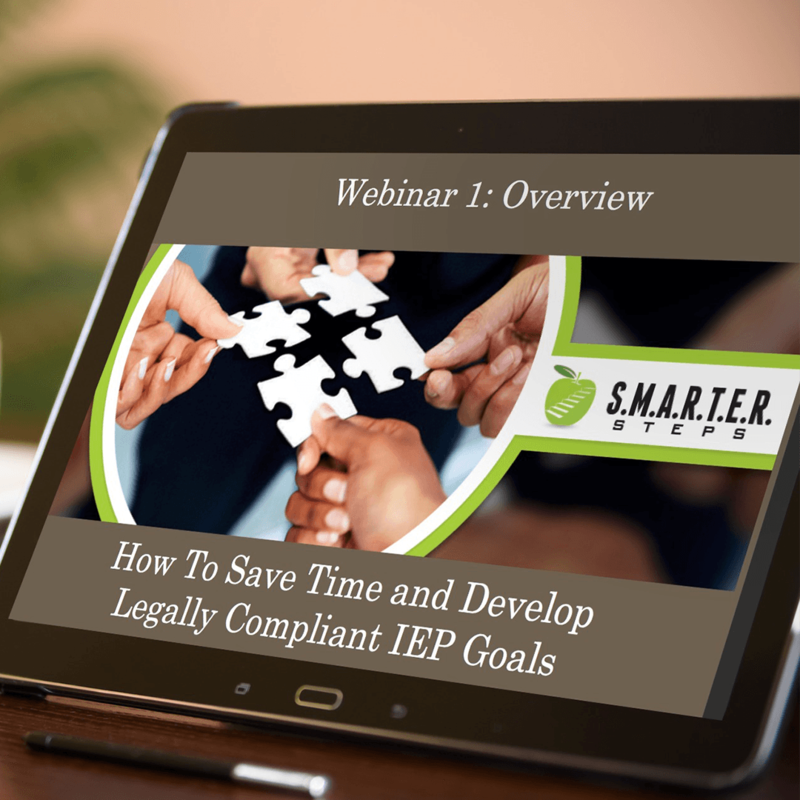 STEPS™ GUIDE TO CREATING SMARTER IEP GOALS serves as a way to check the legal compliance of IEP goals and train educators to work toward this compliance. It outlines the thirteen federal mandates related to IEP goals and presents information and research in a simple, easy-to-understand format. Included appendices help test readers on their new knowledge with a quiz, worksheet, reflection page, and additional resources. 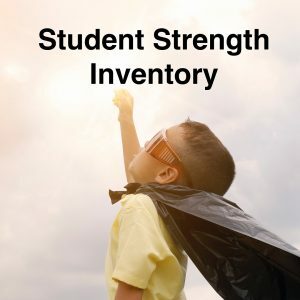 Authors Kelly Ott, MEd, MHS, CCC-SLP, and Lara Wakefield, PhD, CCC-SLP, focus on how important it is not only for educators to have this information but for administrators as well. Too much time and energy is lost in miscommunications between the two different groups. When you add in concerned parents, the focus may shift away from the students and lead to personality clashes. With a solid foundation for IEPs and a thorough understanding of the mandates, these conflicts can be avoided. This book was extremely helpful for me. As a special education teacher, I did not receive much training in how to write legally compliant IEP goals. I wasn't aware of the legal requirements and tended to just do "what I've always done." This book is helping me before mindful in my goal writing. I have noticed that the students with SMARTER goals are having better outcomes. The parents are move involved with this SMARTER system because it makes more sense to them as we walk through the acronym in IEP meetings. Another bonus for me is that my special education administrator approved this book for my professional development plan for the school year! It has everything built in to the book for your PDP: Plan template, Reflection guides, Quiz to demonstrate mastery, and the PDP Tracking form for my supervisor! These authors have clearly thought of everything you need to make a PDP EASY. Best part: I get PDP credit while I'm in IEP meetings creating SMARTER goals. It's a win-win for the students, parents, and me. Simple framework for writing strong goals. Only challenge now is to convince school districts that legally compliant goals are in their best interest! The book is a quick read, but putting the strategy into practice takes time and practice. But do practice! It is worth it! Fabulous book to add to my tool box as a special education advocate! I recommend this book highly to parents and professionals who want to make sure the goals they set for they're their students make a big impact on their educational experience. For parents and professionals needing to learn or update their familiarity and expertise with the IEP process, this book is right on target. The SMARTER Steps Membership gives you tools and ongoing support to make your life easier. We have hand-crafted each webinar, product, and service based on 50 years of combined experience in the field of education and rehabilitation. We have worked with families and school staff to address the multiple needs of IEP teams. Our mission is to increase optimal outcomes for children with special needs and reduce stressful parent-school disputes. We know that one of the best ways to empower parents and school staff is through IEP help, training, continuing education, and consultation. Further, we know that “one and done” webinars are not the most successful in creating change or staying current. That’s why we provide continuous training and open communication with our members so we can customize and adapt tools for each person’s needs. Thank you for allowing us to be part of your lives to make the world a better place for children with special needs. At SMARTER Steps, your goals are our goals. Browse our resources to help IEP teams build strong IEPs. Dr. Lara Wakefield is the brightest person I have ever run across in this field. She truly is devoted and highly knowledgeable. We were blind sided by a medical diagnosis and Lara was a life saver in getting my kid the resources she needed and deserved. She was 110% more effective than the school faculty. I don’t mean that disrespectful in any means, I love our educators, Lara was just better informed.